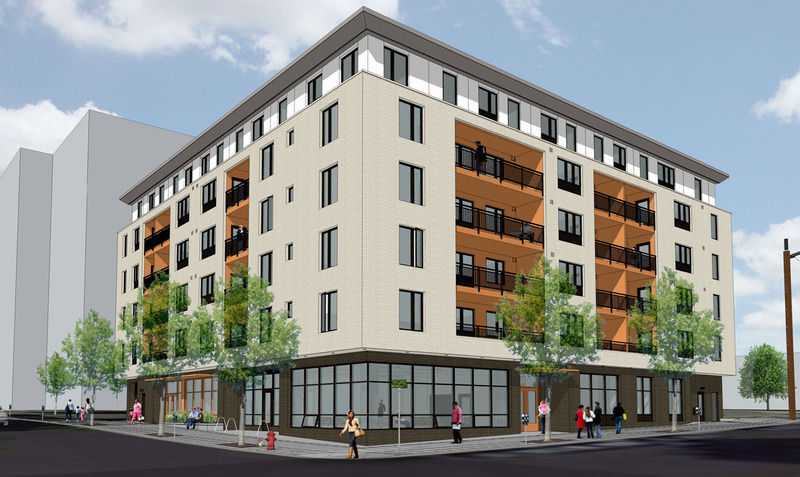 The Portland Housing Bureau has revealed the projects selected as part of the $47 million Super NOFA (Notice of Funding Availability). The award is the largest in the agency’s history, and will help build six new developments with 585 new units of affordable housing, as well as preserve another 255 units through renovation. Included in this will be 120 units reserved for the lowest-income households, earning up to 30% of the Median Family Income ($15,400 a year for an individual and $24,300 for a family of four). Read on below for information about the six new build projects selected. A building permit has been issued to Carleton Hart Architecture for Miracles Central, a 47 unit affordable housing building planned for the Lloyd District. The proposed building will offer long term housing for low income adults wishing to live in an alcohol and drug-free building. The project is being developed by the Miracles Club and Central City Concern, in collaboration with Guardian Real Estate Services. The City Council heard the appeal of Preserve the Pearl LLC against the Design Commission’s decision to approve Block 136. Comments for or against the appeal can be sent to cctestimony@portlandoregon.gov until 5pm on April 15th. The Council will deliberate on April 23rd. The Portland Development Commission board has voted to sell Station Place Lot 5 to Williams & Dame for $7.4 million. The developers plans to build a 204,000 sq ft office building on the vacant Pearl District land. Grocery store Market of Choice and hardware store Orchard Supply will be the anchor retail tenants for LOCA @ The Goat Blocks, which is now under construction. According to a post at The Portland Chronicle, demolition has begun on the Spring Market building on SE Hawthorne Blvd. In its place will be the Hawthorne 31 apartments by TVA Architects and VWR Development. An article in today’s Oregonian covers OMSI’s desire for housing to be allowed on land it owns in the Central Eastside. The City is currently working on a draft of the SE Quadrant Plan, which will guide the zoning for the area for the next 20 years. The Post Office Redevelopment could be a ‘golden opportunity for bikeway’, says BikePortland. Work on the Broadway Corridor Framework Plan, which includes in the USPS site, will begin this year. 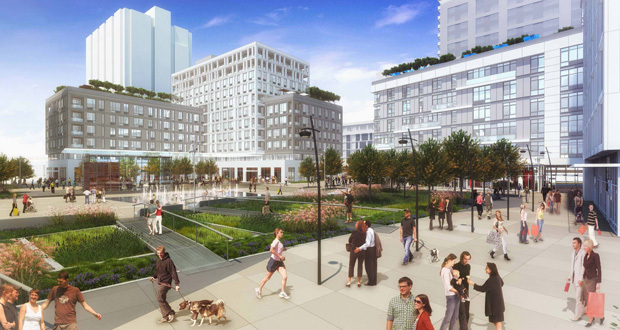 The Portland Development Commission has issued a Request for Proposals for Riverplace Parcel 3. Working with the Portland Housing Bureau, they hope to create at least 200 affordable homes on the site. At Portland Architecture Brian Libby asked whether Portland can grow the right way. A photo gallery at the Daily Journal of Commerce shows the progress on the Park Avenue West tower. The Portland Development Commission has reissued a Request for Proposals for NE 106th & Halsey. According to the Portland Business Journal, the PDC is willing to “donate the land at no cost or channel up to $3 million in public funding” to secure the kind of development it wants to see. A due diligence report [PDF] on the Multnomah County Courthouse was presented to the County board. The two sites currently being considered for the new courthouse are at the Hawthorne Bridgehead, and adjacent to the KOIN tower. No fatal flaw was found for either site, and the site at the Hawthorne Bridgehead remains the preferred site. The Oregonian reported that the Portland Development Commission is close to striking a deal with ZRZ Realty for redevelopment of the Zidell Yards in South Waterfront. According to the Mid-County Memo, the first tenants will move into Glisan Commons Phase II on April 15th. The building will be known as Gilman Court. An expansion of the Portland Rock Gym will add 10,000 sq ft of new climbing terrain. The Portland Business Journal published images of what the finished project will look like. 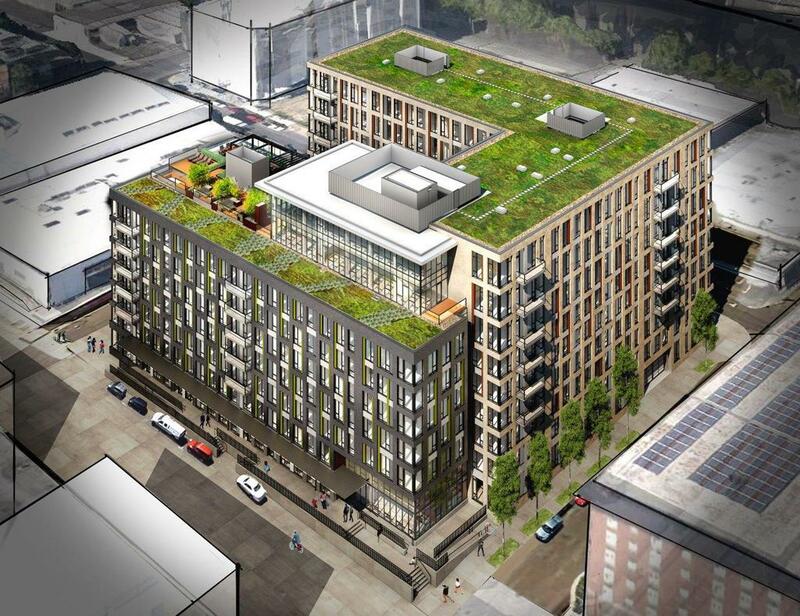 Talks between the Portland Development Commission and USPS have resumed for the Post Office Redevelopment, which would free 14 acres of land in the Pearl District. 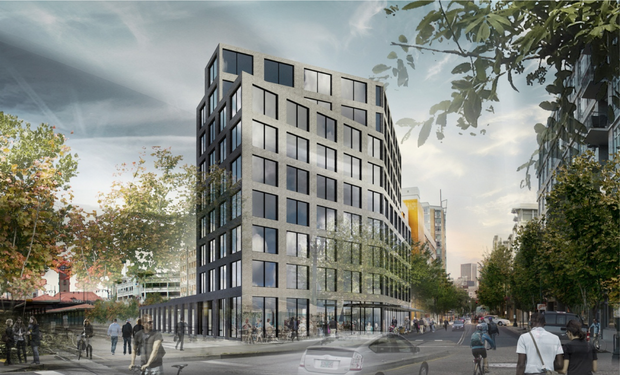 The planned Multnomah County Health Department Headquarters in Old Town will require a Comprehensive Plan Amendment to increase the maximum heights from 75′ to 150′. As reported on page 10 of the Northwest Examiner [PDF] the changes are being opposed by the Pearl District Neighborhood Association. The Portland Housing Bureau is close to striking a deal to purchase Block 26 from Hoyt Street Properties. This will enable to Bureau to develop another affordable housing project in the Pearl District. The Portland Mercado opened this week. An article in The Oregonian looked at how the project will provide space and support for Latino business owners. The Cash & Carry in the Pearl is moving to allow the construction of the Modera Pearl apartments. Work is expected to begin on the new building later this spring or early this summer. Plaza del Toro, John Gorham’s new test kitchen and private event space in the Plow Works Building, will have a launch party on April 17th. The Portland Mercury had a look inside the under construction Society Hotel. The new hotel in Old Town will have bunk beds starting at $35-40 a night. The Design Commission offered Design Advice on Oregon Square to GBD Architects. The project by American Assets Trust will redevelop a superblock in the Lloyd District, with 4 new buildings of 10-32 floors. The Historic Landmarks Commission offered Design Advice on the Worldmark by Wyndham building to SERA Architects. The City Council backed a plan by the Portland Housing Bureau to commit $20 million for affordable housing in North and Northeast Portland. Portland Monthly reported that Providore Fine Foods and Pastaworks are scheduled to open this fall in The Shore, an under construction project by Guerrilla Development on NE Sandy Blvd. The PDC has selected developers for 6 of the 12 acres of property in owns in Lents Town Center. Property #1 and #2 are to be developed by Palindrome Communities. The south portion of Property #3 is to be developed by Williams & Dame, with the north portion by ROSE CDC. Asian Health & Services Center and REACH CDC are the selected developer for Property #4. The first office tenants are moving into Washington High School, an adaptive reuse project by Venerable Properties. The Oregonian was there to take photos. Portland Monthly had a look at Ancient Heritage’s new creamery, set to open this May in the 626 SE Main building. The Portland Chronicle published photos of the two houses set to be demolished on NE Glisan St, for the Treece & Lambert Apartments by Barry R Smith Architect. The Oregonian visited the Stadium Fred Meyer on West Burnside, the remodel of which is nearing completion.